Francois Fenelon offers a brilliant, common-sense approach to education and parenting. 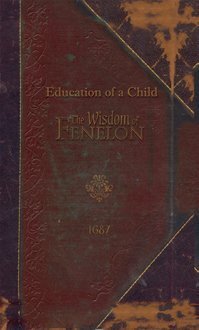 Commissioned to educate the grandson of King Louis XIV and prepare him for the throne, Fenelon abandoned all modern approaches to education and followed the genius of the ancient Hebrews, Egyptians, and Greeks. From Anonymous of Albany, Georgia on 1/26/2016 . As far as what I have already read of this book, I would certainly recommend others especially parents to purchase and read this book.